need to be protected from pain, injury, suffering and disease. What is a suitable environment for a cat? Although cats have been domesticated for 9,500 years and have adapted to living with people and in groups they retain much of their wild cat heritage in respect of behaviour. It pays dividends to know a bit about the wild cat species. A place to hide when frightened is very important. This can be one of the failings in cat shelters. Cats naturally hide when frightened and to prevent them doing that may cause suffering and it may have health consequences. An appropriately sited litter box (toilet facility). In multi-cat households sufficient facilities are required to prevent competition for the litter box, which may cause stress in a submissive cat. 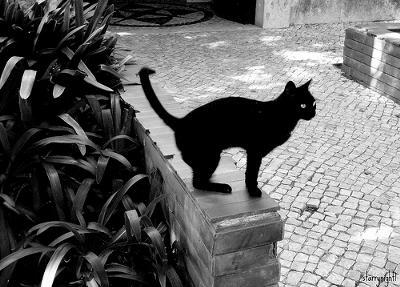 Some cats go to the toilet outside. Access to the outside should be provided. The litter box is best sited in a different place to where (s)he eats and sleeps. A place that is warm, quiet and draught-free. Damp, draughty or wet places will cause ill health and suffering. In multi-cat households there should be sufficient resources generally e.g. sleeping places, hiding places and space. Stimulation and activity are important. The onus that is on the cat caretaker to provide stimulation is heightened if the cat(s) are full-time indoor cats. Cats like high places. Access to a place that is off the ground or even high off the ground helps to provide a suitable environment. the environment should be free of things that are hazardous to cats. Poisons are a classic concern - things toxic to cats and plants poisonous to cats. Cats like familiar surroundings and routine. Moving home presents particular difficulties and stresses for a cat (and person!). He or she should be kept in the new home for about two weeks to become acclimatised to it so as to prevent the cat trying and return to her previous environment. It will also allow you time to assess hazards outside if she is an outdoors cat. Ruth has expanded on this aspect of providing a suitable environment for your cat: MOVING HOUSE WITH CATS. If going on holiday a good cat sitter you can trust is important and if a cat boarding facility is used taking familiar objects with you and objects that smell of you and your cat will make the temporary surroundings more friendly. If you leave your cat in a vehicle make sure the temperature is suitable and will remain suitable for the duration. If your cat is an outdoor cat it is important to be aware of the potential hazards outside. There are many. 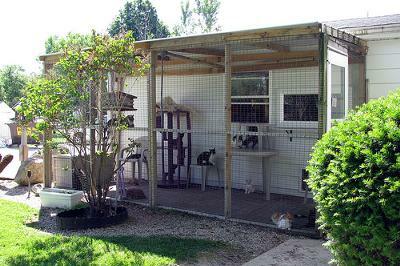 An outdoor environment is intereting and stimulating for a cat but hazardous because the cat is naturally inquisitive. The outside environment for a cat often cannot be controlled. Some sort of control over the cat is required. 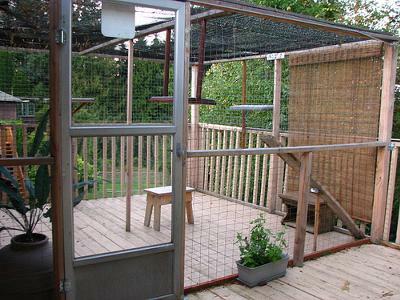 Cat enclosures and catios are a good compromise between safety and stimulation. Access to a solid and large scratching post is important. Small, cheap ones are unlikely to be used.